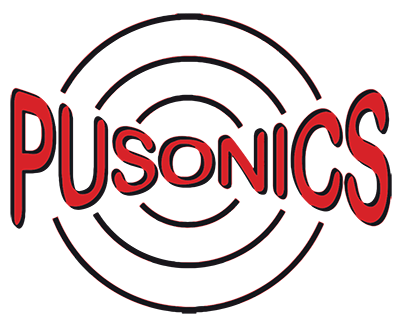 PUSONICS launched to the market a new family of high power ultrasonic generators, initially developed by a Research Group of the Higher Council of Scientific Research (CSIC) and optimized by PUSONICS. The Airborne Ultrasonic System (AUS) is a new type of power ultrasonic generator for applications in fluids and multi-phase media. It provides focused or high-directional radiations in such a way that levels of acoustic intensity higher than 10W/cm2 may be reached. The AUS is based on a piezoelectric transducer driving an extensive radiator. The radiator is a flexural vibrating plate incorporating a stepped, grooved or stepped-grooved profile. 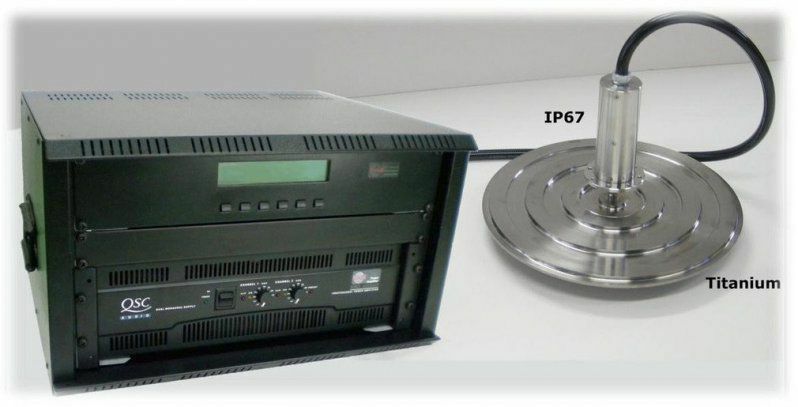 A power electronic generator with a controller for dynamic tuning at resonance activates and controls the electroacoustic transducer. This is a unique patented technology for generating high-intensity ultrasonic waves through fluids. Its efficiency has been demonstrated in numerous industrial applications.